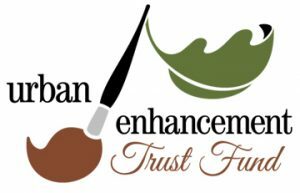 The 2019 Choreographers’ Showcase is made possible in part through the support of the City of Albuquerque, Urban Enhancement Trust Fund. Thank you! Submission does not guarantee placement in the showcase. The first 80 minutes of material submitted is placed in the showcase. You will be contacted by December 15th to confirm participation. If you have not submitted to Keshet before, you may be asked to submit a work sample (if the work is still in progress, that is fine). Provide a high quality copy of your music for use during the showcase. Provide rehearsal footage of your piece (this does not need to be high-quality; footage from a phone is good enough). This footage will be used for the purposes of giving the lighting designer a rough idea of the show as well as determination of show order. This footage will not be used to determine whether or not your piece is accepted into the showcase. Choreographer and all performers must attend all required tech and performance times at Keshet Center for the Arts; performers not able to attend all required times will not be able to participate. Please make sure that all of your performers (dancers, musicians, etc.) understand this expectation clearly. No exceptions.